This event was run on the above date after being postponed from 8th February due to ice. Special congratulations to Dundee University Boat Club who, at this event, confirmed their victory in the SARA Universities Winter League - the first time they have ever won this. 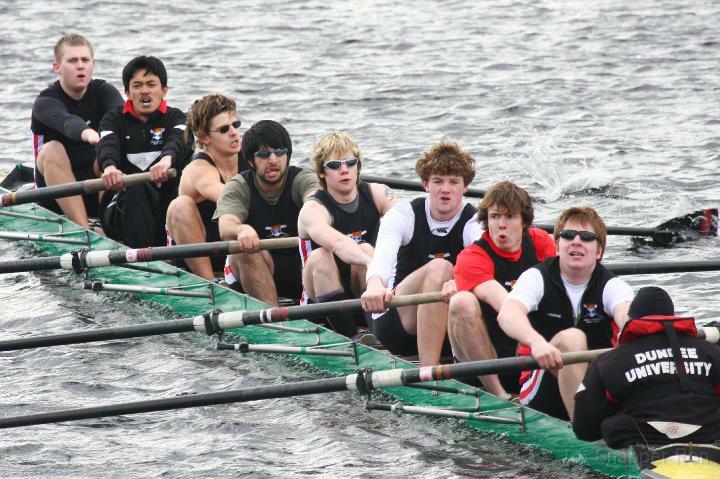 The Aberdeen Senior Eights and Junior Fours Head was held on Saturday 14th March on the 2500m upstream course on the River Dee in bright sunny conditions into a strong gusty headwind. Fastest time of the day was recorded in Division 1 by Aberdeen BC (Crosland) in Mens Open Eights with a winning time of 10 minutes 49 seconds, whilst in Division 2 the Dundee University BC crew (Herbert) in Mens R2 Eights was fastest crew in that division with a winning time of 11 minutes 50 seconds. 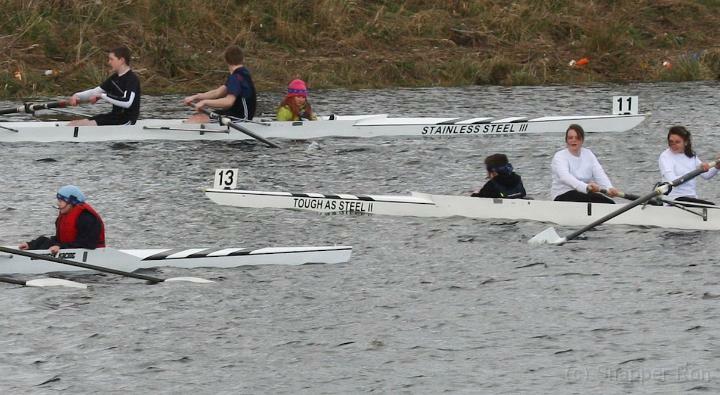 Aberdeen Schools RA (Steel) posted a time of 13 minutes 38 seconds in Division 1 to win the Womens R2 Eights. 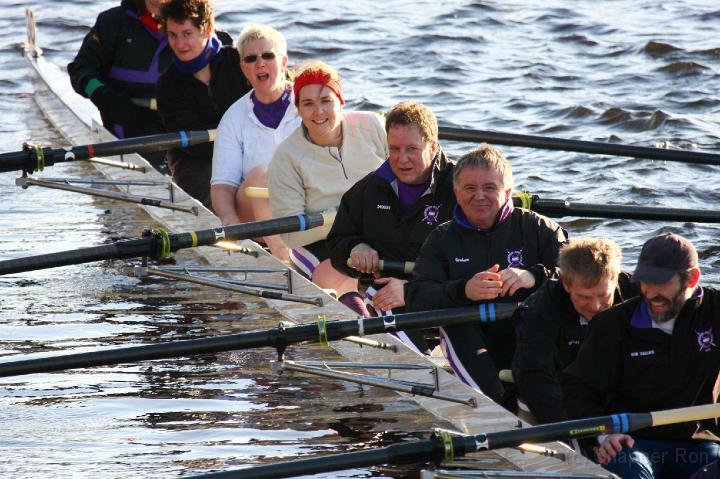 Dundee University BC (Sawyer) were also successful in Mens Novice Eights with a time of 12 minutes 15 seconds in Division 1 whilst the Womens Novice Eights was won by Aberdeen BC (Rennie) in 14 minutes 33 seconds in Division 2. In Division 1 in the Junior Fours events, Aberdeen Schools RA (Wilson) won the Open Junior 18 coxed fours in 13 minutes 18 seconds as did another ASRA crew (Bruce) in Open Junior 14 coxed quads in 16 minutes 38 seconds. In Division 2, ASRA (Masson) won Open Junior 16 coxed fours in 14 minutes 23 seconds, ASRA (Steel) won Womens Junior 18 coxed fours in 14 minutes 31 seconds and ASRA (Wyness) posted a time of 18 minutes 7 seconds to win Womens Junior 14 quad sculls. As a result of these wins in Aberdeen, it was confirmed that Dundee University Boat Club were classified as winners of the Winter Universities League for the very first time.